United States Marine for life. That was Gary Laughlin's plan. He signed up after the September 11 terror attacks, went through officer training and did two tours of duty in Iraq. But after a decade in the military, he suffered a traumatic injury during combat operations in Fallujah. The incident resulted in nerve damage and ultimately ended his military career. Today, Laughlin is putting his ability to remain cool in tough situations to use in the civilian world. He's a sales associate at Franklin Square Capital Partners, an investment firm in Philadelphia. "The financial world is fast paced and it can be chaotic at times. It's similar to warfare. It's constantly changing. 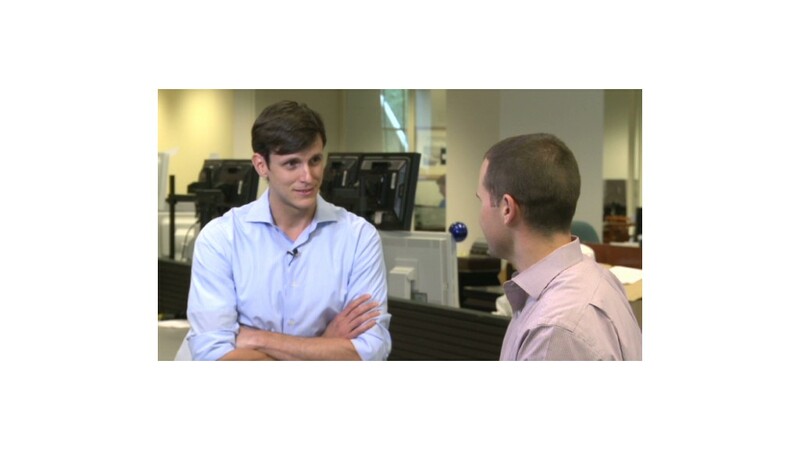 You have to make decisions -- sometimes on the fly -- with limited information," he said. Laughlin, 31, joined the Franklin Square last year after receiving training from Wall Street Warfighters, a nonprofit that places veterans in financial jobs around the country. Financial boot camp: More than 50 veterans have graduated from the program, which includes training from federal regulators, executive education courses at Wharton Business School at the University of Pennsylvania and a sponsorship to take the Series 7 exam, which is necessary to do any trading. "I was very fortunate. It's very challenging leaving the military," said Laughlin, who is engaged to his high school sweetheart. He believes the private sector needs to do more to ease the transition for veterans like holding resume writing workshops or work shadowing programs. "The military does a great job preparing you to fight the nation's battles, but they aren't experts in civilian employment," Laughlin said. The unemployment rate among Gulf War-era II veterans stood at 7.2% in October, compared with 5.8% for the overall population. 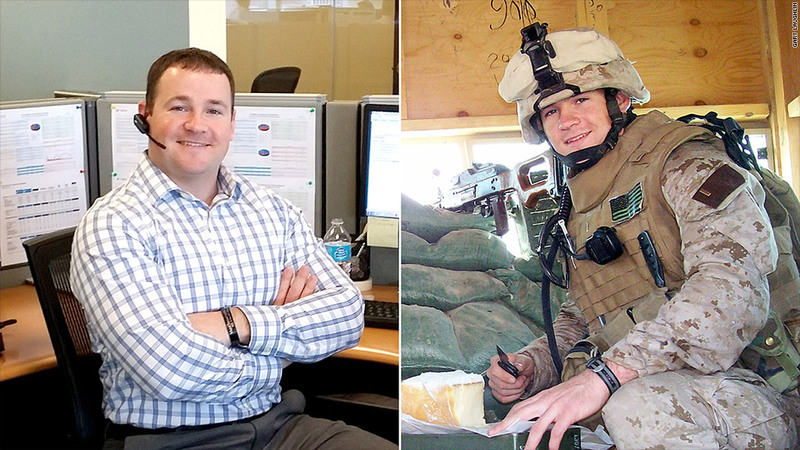 The big leagues: Finance was a natural spot for Laughlin to land in because he always made a point to follow the markets while he was in the military and even advised fellow Marines on how to save money. Now he's in the big leagues at Franklin Square, which is an alternative investment company that has accumulated about $14 billion in assets under management in the five years it's been operating. "There's not a lot of other careers in the civilian world where things happen as fast as they do in the financial world," Laughlin said. As a sales associate, he consults financial advisers on how to incorporate alternative investments like senior secured loans, private equity and investment trusts into their practice. Those advisers then use Franklin Square's products to help their clients make enough money to retire. "I just like helping people. I think of the retirement plans we assist with as an important service," Laughlin said. During his decade in the Marines, Laughlin helped people at a much more basic level. When he was in Fallujah serving as an infantry officer there was no civilian leadership in the city at all. "Everything from food, water and electricity to running an election was all on my shoulders. As a Marine you are trained to deal with everything -- whether it's fighting the enemy or rebuilding a city," Laughlin said. Michael Gerber, executive vice president of Franklin Square, said hiring veterans should be a no-brainer for companies. "They are focused, goal oriented and have the ability to manage challenging situations. As an employer you end up with terrific workers you can be proud to have as members of your team" he said.